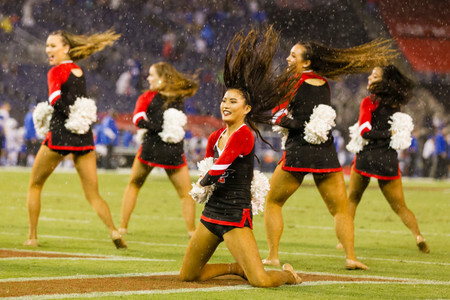 The San Diego State dance team performs during a media timeout as the rain intensifies. 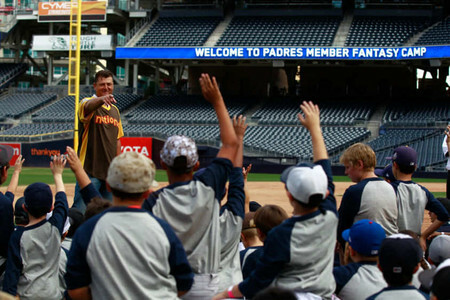 The San Diego Padres hosted a fantasy baseball camp for their season ticket members at Petco Park. 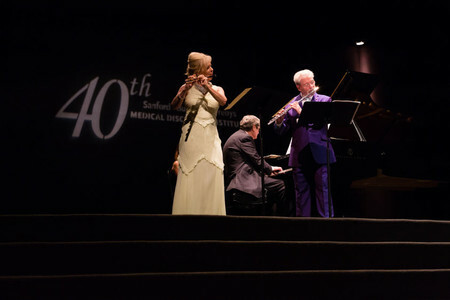 Sanford-Burnham-Preby's Medical Discovery Institute hosts a tribute concert for it's 40th anniversary with Sir James & Lady Galway with Phillip Moll at the Museum of Contemporary Art San Diego in La Jolla, California. 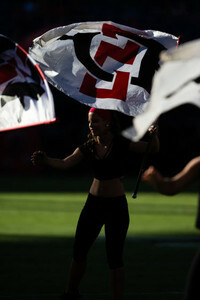 A member of the SDSU color gaurd perform prior to the San Diego State Aztecs football team opening up the season at home against the University of New Hampshire Wildcats. 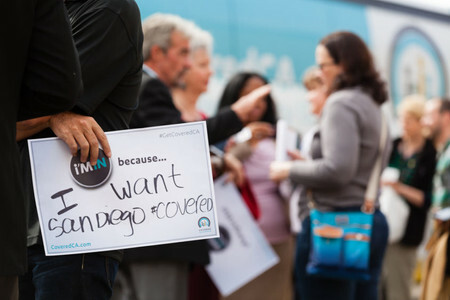 Bass player and singer Mike Herrera of MxPx sings to a large crowd at the Vans Warped tour in the parking lot of Sleep Train Amphitheatre in Chula Vista, California. 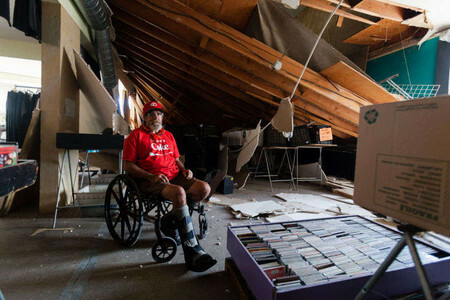 Evangelist John Franklin gets dowsed down by an SDSU students drink. Franklin regularly visits the campus and preaches about everyone's sins and there for seen doom to hell. Spectators watch as BMX time trials for the spots on the US olympic team take place. The USS Midway leaves North Island Naval Air Base in Coronado for a short trip across the bay to it's final resting point at the G Street pier where it will be turned into a musuem. The USS Midway seen from North Island Naval Air Base in Coronado, the boat will be pulled across the bay to it's final resting point at the G Street pier where it will be turned into a musuem. 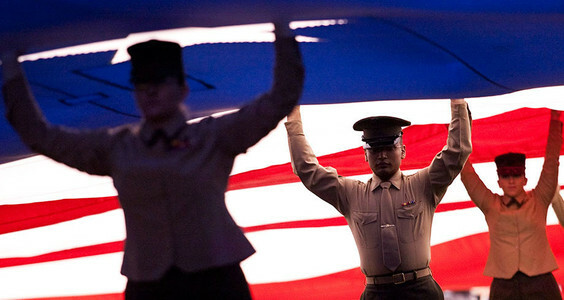 Members of the military hold up a field sized American flag prior to the Pacific Life Holiday Bowl.